You are here: Home / 2016 Show Archive / Animals Today – January 16, 2016: Child killed by pit bull. Why laws aimed at certain breeds may not be the answer. Microchip your animals. Estate planning for your companion animals. Protecting manatees. Ranking states for animal cruelty laws. This show begins with legal expert Bob Ferber, who discusses the limitations of breed specific legislation as a tool to protect people from dog bites. Recently, a four year old Detroit boy was killed in a pit bull attack. Breed specific legislation is always a controversial topic! Then, Lori reminds us how important it is that all animals in the family are microchipped, and how a chip reunited a dog with his guardian from 500 miles away! Then, what would happen to your animals if you were to die? Do you have your estate plan in place? Lori tells us what we need to do to make sure your dogs, cats, birds, and tortoises will be well cared for if you die before them. The next guest up is Patrick Rose, Executive Director of Save the Manatee Club. 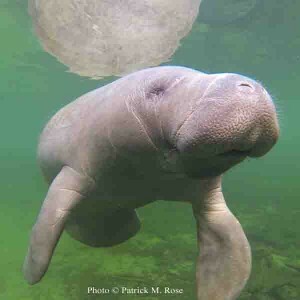 The majestic and peaceful manatee needs continued protection, and Rose, an aquatic biologist who has led the group for decades, gives us the complete story. We conclude with a new survey about the good, the bad and the ugly regarding the 50 states’ animal protection laws.